Last week we had a studio close it's doors due to layoffs, this week another developer of co-op games is losing some stuff. 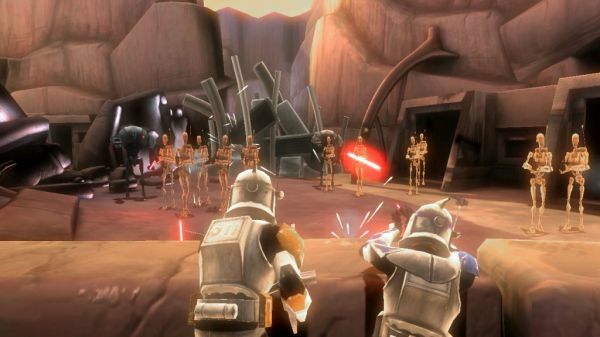 Krome Studios, developers of Star Wars The Clone Wars: Republic Heroes, has cut 50 or so of its staff. The Australian based developer was forced to make cuts due to a high Aussie dollar, which made getting lucrative US based contracts difficult. Furthermore, there simply wasn't any contracts out there. No contracts, no funds. No funds, no games. No games, no staff. Booo. We wish everyone the best of luck. Be on the lookout soon of our review of Star Wars The Clone Wars: Republic Heroes.